Exceptional luxury home, craft build by Lukus Developments. Situated on a spacious corner lot in Bearspaw, this home features high-end finishes, a unique garage layout with two separate attached garage spaces, breathtaking curb-appeal, a great view of the park and endless natural sunlight. More Information. 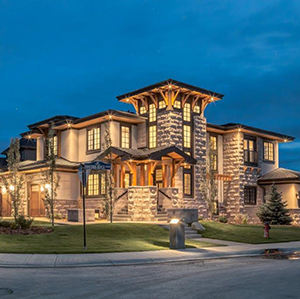 Lukus Developments provides custom residential homes, it is one of the most accredited builders in the city of Calgary and builds single family, multi family and provides renovation construction.